You already know the Mercedes B-Class. It is based on the MFA platform, the same that underpins the A-Class, is front wheel driven and was so far only available with a petrol engine in India. But, just a few hours back Mercedes has launched the diesel version of the car at an aggressive price tag of ? 22.6 lakh, ex-Mumbai. And we have driven it. Before we get into the details concerning the engine and how the new version drives, here's a quick recap on what the the B-Class is all about. The B-Class is a mini MPV that boasts of a class-leading interior room. It has one of the best knee and head room for rear passengers in the segment, the BMW X1 and the Volvo V40 included. It has a large practical boot with a low loading height, wide boot opening and rear seats that split and fold. Inside, it is decently equipped. It gets the full quota of safety kit standard in this class of cars - airbags, ABS and ESP. On the comfort end, there's a single zone climate control, cruise control, a multifunctional steering, COMAND system which also includes Bluetooth telephony, and electrically powered ORVMs and driver seat. 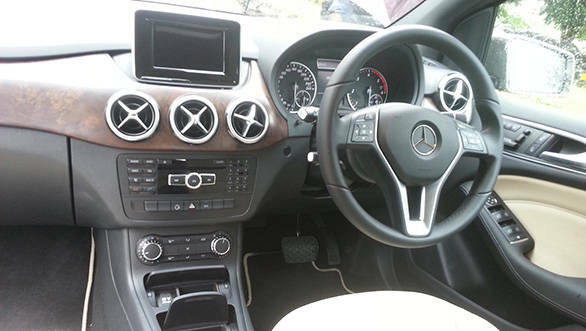 The insides look nice and very well put together too; it's a typical Mercedes in that sense - airy, with a good driving position and superb fit and finish and ergonomics. Now to the engine. 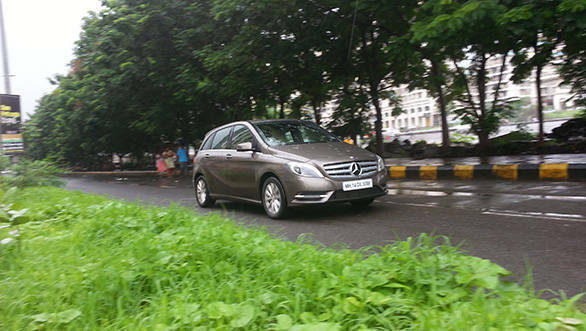 The B 180 CDI gets the 2.1-litre four cylinder diesel we know so well. We have sampled it on the C-Class and more recently on the new E-Class. It's not exactly the same, of course, with this particular iteration of the engine making lesser power and torque. 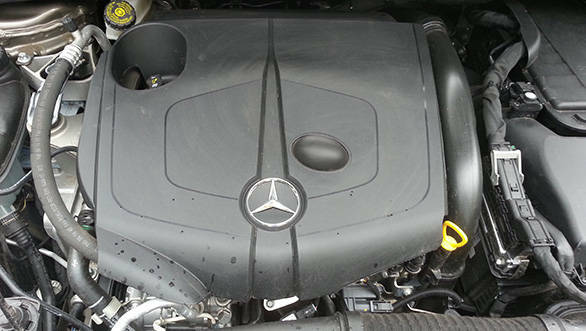 The max power output for the B-Class spec engine is 109PS. The peak torque rating is 250Nm, which is available from 1400-2800rpm. The engine does remain easy revving though, and a tad noisy as well. The engine drives the front wheels on the B-Class via a 7-speed dual clutch automatic. The set-up is identical to the one available on the A-Class diesel and the B's 'box also gets three modes - Economy, Sport and Manual. The latter can be worked via paddle shifters and it is the mode to choose when tackling hill roads. 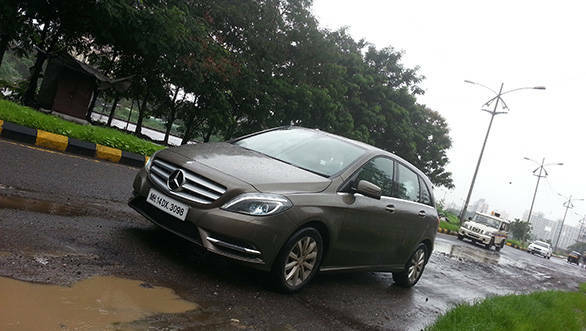 The Economy mode works best for city driving and together with the stop-start tech, it helps the B-Class return a commendable 12.6kmpl in the city. The ideal figure we could manage on the highway was 18.8kmpl which gives the B an over all figure of 14.1kmpl. As far as performance goes, the B-Class does nothing to upset the apple cart. With its power and torque outputs, a 0-100kmph time of 11.6s is in line with our expectations. As is its top speed of 190kmph. We have always believed the B-Class to be a wonderfully practical entry-level luxury car to buy. It is spacious, reasonably well-equipped, well-built and plush, and as safe as a Merc should be. It's also an ideal second car for a well-to-do household to ferry the kids or to run daily errands. And now with a diesel engine, it is cheaper and more efficient as well.